Carol Hughes (January 17, 1910 – August 8, 1995) was an American actress. She is best known for her leading roles opposite Gene Autry and Roy Rogers, and for her role as Dale Arden in Flash Gordon Conquers the Universe (1940). Hughes was born Catherine Mabel Hukill on January 17, 1910 in Chicago, Illinois to Charles, an upholsterer, and Mable Hukill (née Stift). Both of her parents were born in Chicago; her mother's grandparents were from Germany. She was raised in a rented house at 2122 Pearl Court in Chicago along with a cousin, Pearl Hukill. As a teenager, she was drawn to acting and participated in school plays. At the age of fourteen, she began acting and dancing in short musical comedies with an Oshkosh stock company. The following year she appeared as Katie Conway in the Conway Sisters team, having learned to sing and play piano. In the late 1920s, she teamed up with Frank Faylen to form the comedy dancing and singing team of "Faylen and Hughes" in which she played the "dumb girl" Kitty Hughes. In 1928, the eighteen-year-old Hughes married Frank Faylen. By the early 1930s, they were performing together in stock and vaudeville shows throughout Illinois and Wisconsin. In 1935, Hughes and Faylen moved to Hollywood to attempt movie careers. Hughes began her film career playing bit parts in George White's 1935 Scandals (1935) and Ceiling Zero (1936). After being signed on as a contract player by Warner Bros. in 1936, her first name was changed to Carol and she began to appear in credited speaking roles, mostly in B movies. By 1937, she was appearing in leading roles in films such as Meet the Boy Friend, Marry the Girl, Renfrew of the Royal Mounted, and The Westland Case. In 1938, Hughes transitioned to Western films appearing opposite Gene Autry in Gold Mine in the Sky (1938), Man from Music Mountain (1938), and Under Fiesta Stars (1941), and opposite Roy Rogers in Under Western Stars (1938). In 1940 she landed one of her best known roles as Dale Arden in Flash Gordon Conquers the Universe (1940). 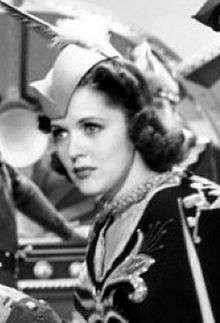 Throughout the early 1940s, Hughes appeared in leading roles in Top Sergeant Mulligan (1941), The Miracle Kid (1941), My Son, the Hero (1943), She's for Me (1943), and The Beautiful Cheat (1945). As the decade progressed, however, she appeared increasingly in minor roles in films such as The Bachelor and the Bobby-Soxer (1947), Every Girl Should Be Married (1948), and Mighty Joe Young (1949). In 1947, Hughes returned to the stage to perform in Trouble for Rent. Hughes made brief returns to Western films in leading roles in Home in Oklahoma (1946) with Roy Rogers, and Stagecoach Kid (1949) with Tim Holt—the latter film featured her last major screen role. Minor roles followed in D.O.A. (1950) and Scaramouche (1952). In the last years of her film career, Hughes appeared mainly in RKO film shorts and one television series episode. Hughes' husband Frank Faylen continued working as a character actor in films and television through the 1970s. He appeared in supporting roles in numerous films, including The Pride of the Yankees (1942), The Lost Weekend (1945), Frank Capra's It's a Wonderful Life (1946) in the role of Ernie the cabdriver, Road to Rio (1948), Gunfight at the OK Corral (1965), and Funny Girl (1968). He is best known today for playing the father Herbert T. Gillis in the television series The Many Loves of Dobie Gillis (1959-1963). Hughes and Faylen raised two daughters, Catherine (or Kay) and Carol, both of whom became actresses. Their daughter Kay was the first wife of Regis Philbin. Their daughter Carol appeared in the television series Leave It to Beaver (1962–1963) and The Bing Crosby Show (1964–1965). Hughes and Faylen remained married for fifty-seven years until his death in 1985. Carol Hughes died on August 8, 1995 in Burbank, California at the age of 85. She is buried next to her husband in San Fernando Mission Cemetery in Mission Hills, Los Angeles, California. 1 2 3 4 5 6 "Carol Hughes". B-Westerns. Retrieved April 20, 2014. 1 2 3 4 5 Herzog, Buck (October 29, 1936). "In and About Film Studios". Milwaukee Sentinel. Retrieved April 20, 2014. 1 2 Keavy, Hubbard (January 30, 1937). "Carol Hughes' Secret Is Out; She's Married". St. Petersburg Times. Retrieved April 20, 2014. ↑ Oakley, Annie (April 12, 1947). "The Theatre and Its People". The Windsor Daily Star. Retrieved April 20, 2014. ↑ "Frank Faylen". Find a Grave. Retrieved April 20, 2014. ↑ "Carol Hughes". Find a Grave. Retrieved April 20, 2014.